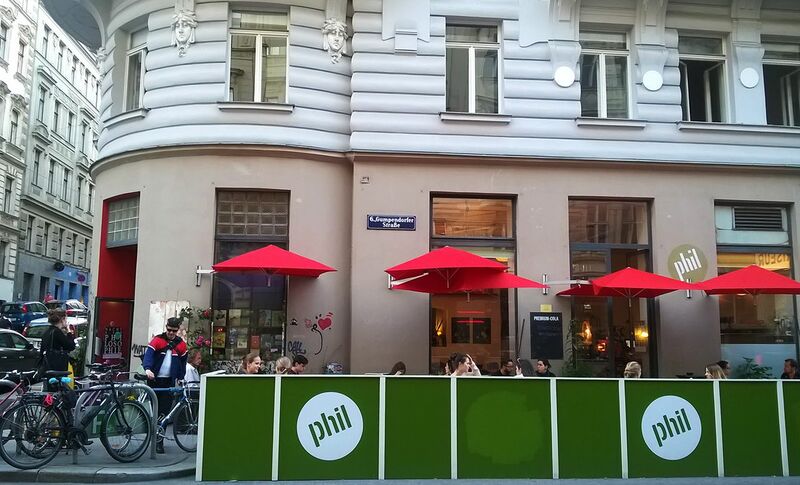 Vienna is the home of cafes and coffeehouses. Here are 9 of the best to work from. Coffee Pirates is a well-known work and study space, located directly across from the Vienna University. 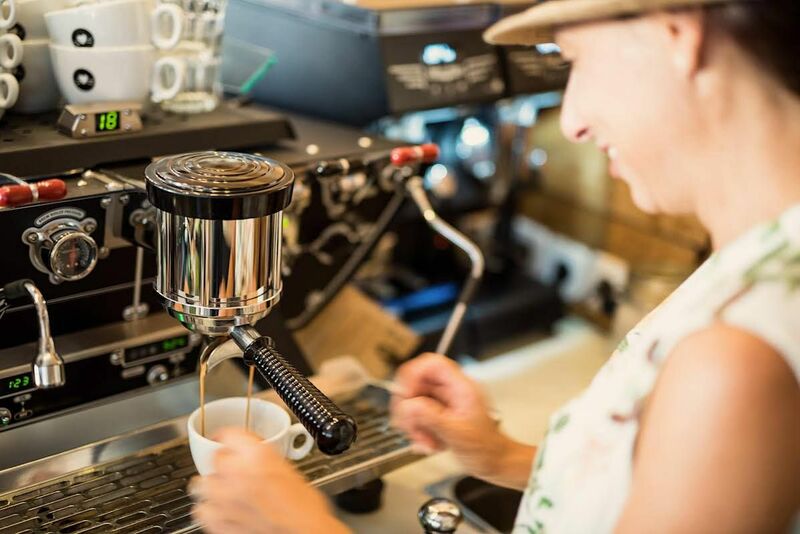 They are experts on coffee brews, even roasting their own award-winning blend in the back of the café. The cakes here are fantastic, as are the friendly staff, and the communal tables with books and magazines. Wi-Fi is always excellent here. Cafe Nest is a writer’s oasis in the 4th district — always calm and airy, with a music backdrop that’s sometimes jazz, sometimes classical music covers of pop songs, or an acoustic guitarist. In summer the street-side windows open out so you can people-watch students and creative folk. Café Nest makes homemade thin-crust pizzas to go with your Friday afternoon spritzers or coffee. 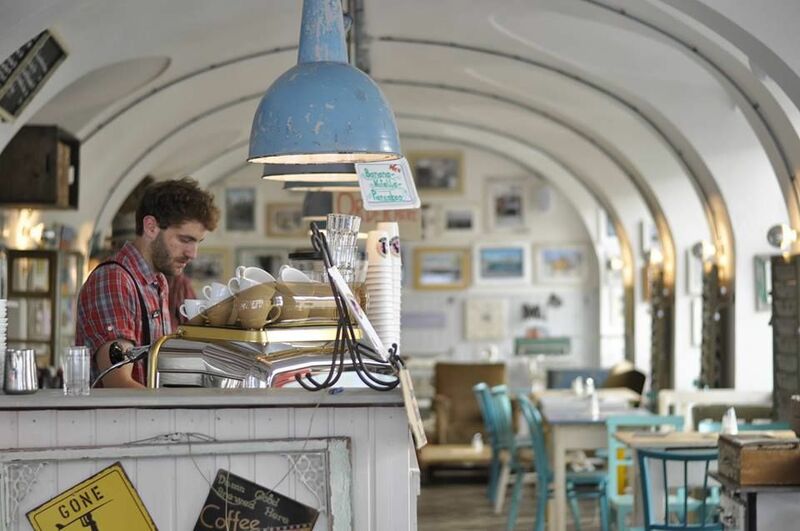 This café is a perfect hybrid vintage fashion store-cafe-living room, with creaky wooden floorboards, second-hand furniture, overgrown plants, and winding stairways. There are solo tables in the back room, next to wall plugs that are excellent for writing, working or whiling a few hours away with a book. Burggasse 24 is open from 10 am to 8 pm, and great any time of day. Marks Cafe is better known as a brunch hot-spot, but with plentiful wall plugs and reliable Wi-Fi, it’s become a favorite amongst freelancers in the cool 7th district. You can sit by the windows, or up on the mini-terrace depending on your mood and how busy the Cafe is. If you’re collaborating, this is the perfect spot for meetings. 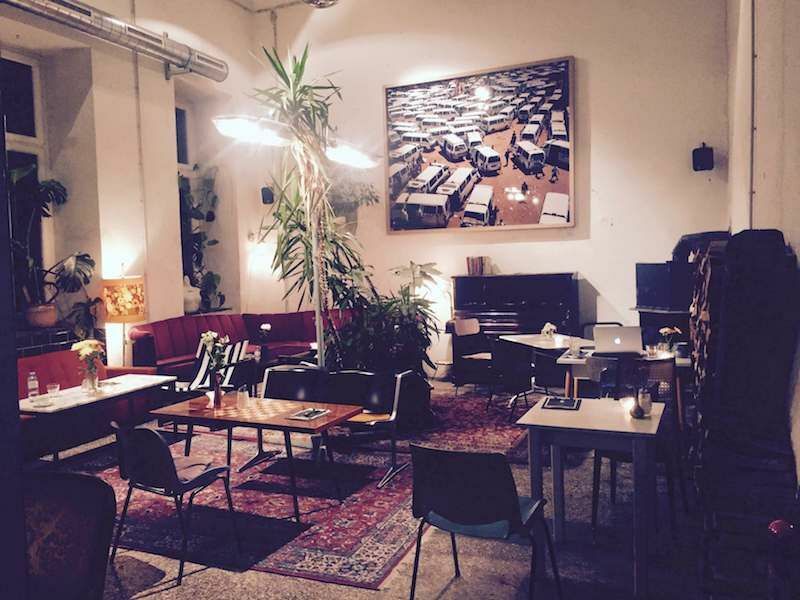 Erna b is a little spot that is an absolute winner for atmosphere, tasty snacks and kooky art on the walls. Always calm, it’s the kind of place where you can slip from afternoon coffee into evening cocktails seamlessly, while writing your notes and drafts at the corner table. Cafe Phil is a locals’ favorite, a hipster haven of books, records, coffee, couches and a super-cool waitstaff. 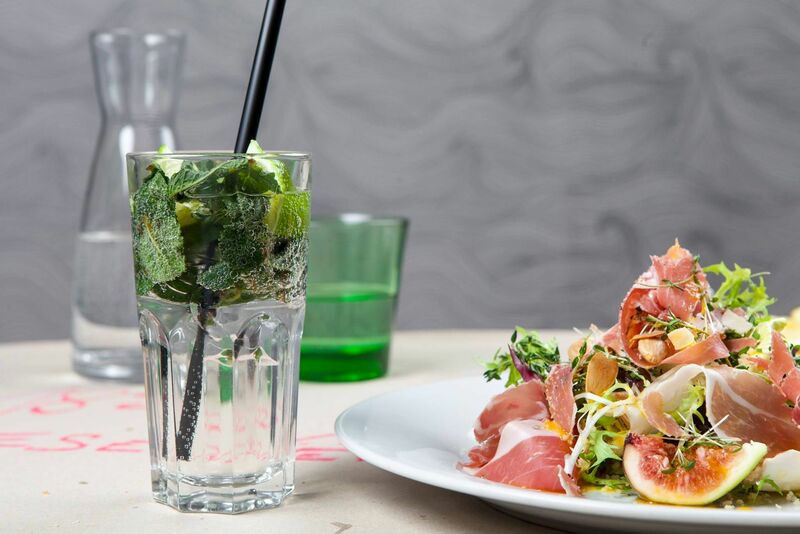 If you can nab a table during the week, you’ll enjoy their eclectic playlists and excellent brunch menu as you work. Their events and DJ nights in the evening will make this place hard to leave after a long day’s labor. Das Campus is a big restaurant with hidden nooks and comfy pallet-booth seating perfect for getting work done. This café is in the heart of the WU campus of the 2nd district and designed for the student population. There are plenty of wall plugs and strong Wi-Fi throughout, as well as delicious snacks and great coffee. Head to Cafe Jelinek for a traditional coffeehouse experience, away from tourists. The wallpaper may be peeling and the carpet a little worn, but that’s just from decades of writers, artists, theater makers and other Viennese working on the velvet couches and corner stools. 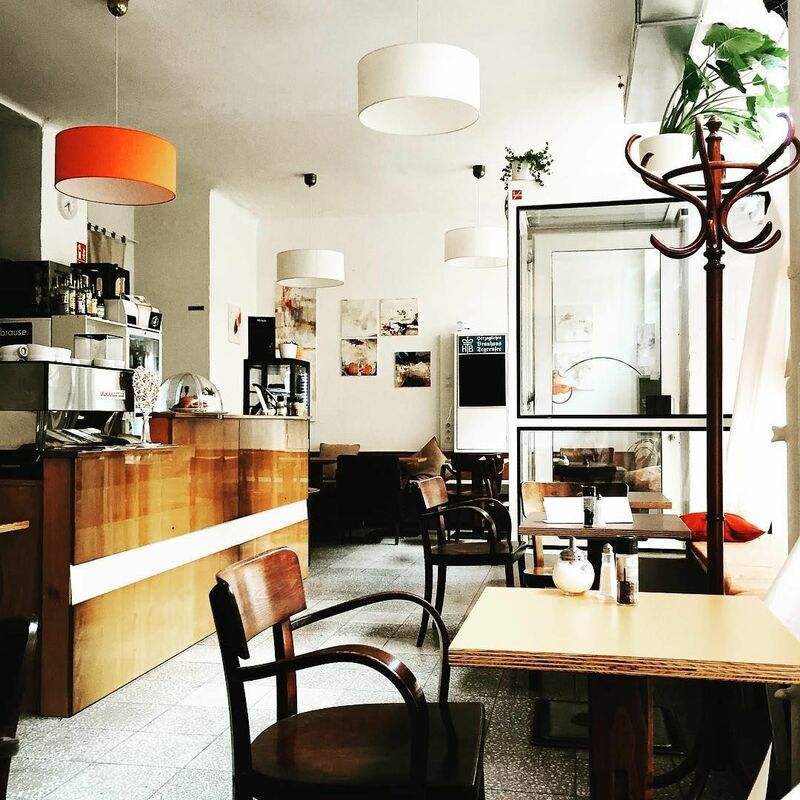 Seemingly untouched since the 1950’s, Cafe Jelinek invites customers to while away hours reading newspapers, writing, drinking reasonably-priced and excellent coffee or nibbling on home-made pastries. 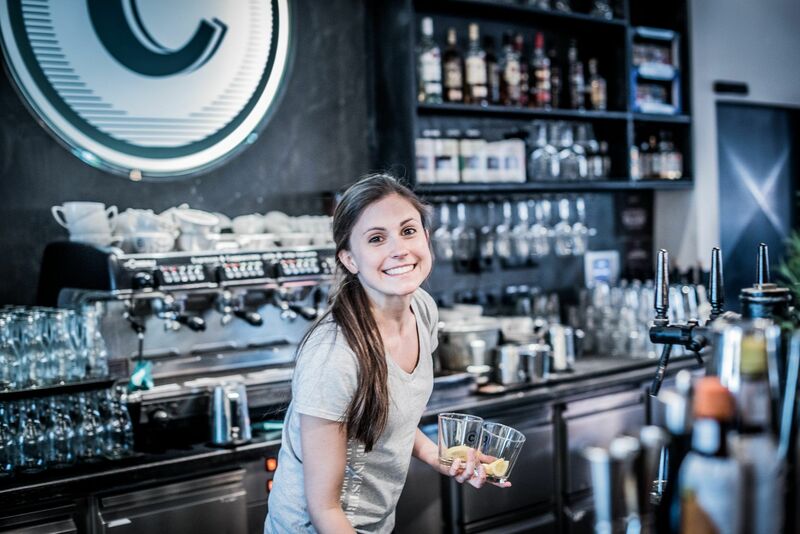 If you like a touch of historic atmosphere with your workspace, Café Jelinek is one of the best places to work in. Pure Living Bakery was designed after a California-style bakery diner – with comfy couches and a strict ‘no strollers’ policy at its two outlets in Vienna. It’s ideal for snuggling into a couch and with your laptop on your knees for an afternoon of work. The Hietzing branch is the original and slightly smaller option, which means getting a table can be a battle amongst the tourists from nearby Schonbrunn Palace. The cakes and crumbles are worth it. The Burggasse location in the 7th district is larger and offers delicious ice cream options in the summer. You can follow the author on Facebook, Instagram, and her blog Austrian Adaptation.